Not every invention is an improvement, especially when it comes to making bread. Hearth Wood Fired Bread hews to 18th-century techniques: Dough made with organic heritage grains and natural starter rises in wooden troughs and is then shaped by hand and baked in a wood-fired masonry oven. The result is a dense, chewy, crusty loaf that stays fresh for three or four days and  heres a nod to the modern kitchen  freezes well. 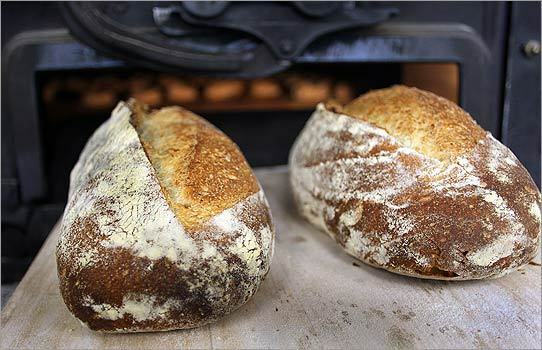 Find it in some of Bostons top restaurants and South Shore specialty markets, or pick it up just out of the oven at the bakery.